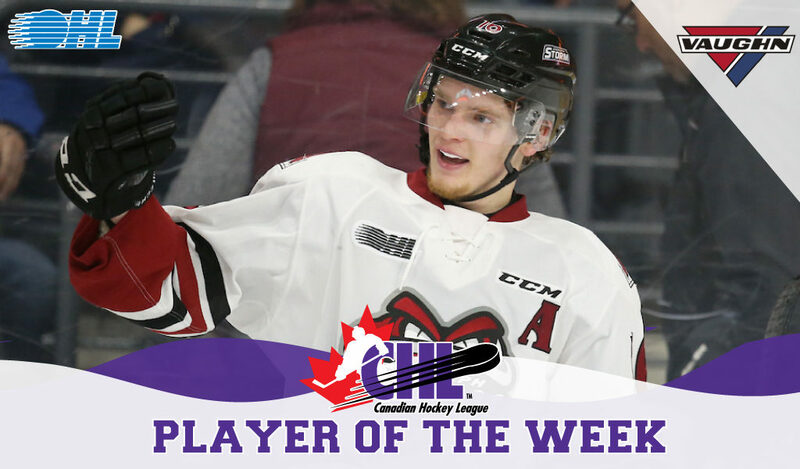 Toronto, ON – The Canadian Hockey League today announced that Arizona Coyotes prospect Nate Schnarr of the Guelph Storm is the CHL Player of the Week for the regular season week ending March 3 with 13 points in four games including four goals and nine assists with a plus-minus rating of plus-11. Schnarr recorded at least one point in four straight contests last week as the Storm found the win column in each to push their current win streak to seven and improve to a 36-16-6-4 showing, good for second place in the OHL’s Midwest Division. 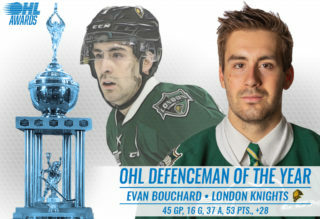 His week began Tuesday with three assists in an eventual 7-3 victory over the division-rival London Knights. He then picked up another helper the next night in a 4-3 overtime win against the Erie Otters. Schnarr saved his best showings for the latter half of the week as he recorded a goal and three assists in an 11-4 romp of the Windsor Spitfires en route to third-star honours. 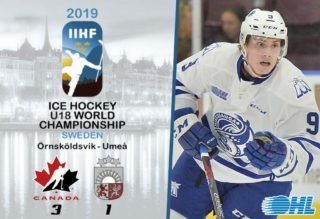 He then wrapped the weekend Sunday by notching his second hat-trick of the season to go with a pair of assists for a career-high five points in an 8-4 takedown of the Kitchener Rangers. 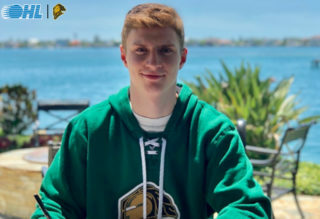 A 20-year-old from Waterloo, Ont., Schnarr is skating in his third full season with the Storm. 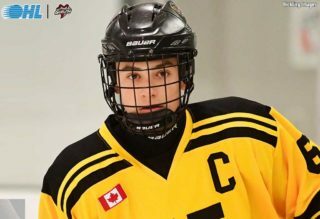 After finishing last year with a respectable 39 points in 57 games, the budding forward has stepped up his offensive game this season as he’s tallied a team-leading 96 points, including 31 goals and 65 assists, in 59 appearances. 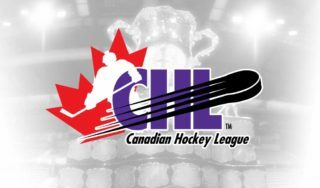 Also considered for the award this week was Rouyn-Noranda Huskies overage forward Peter Abbandonato, who pocketed a goal and eight assists for nine points in three games, as well as Lethbridge Hurricanes forward Jake Elmer after he recorded five goals and five assists for 10 points in four games.